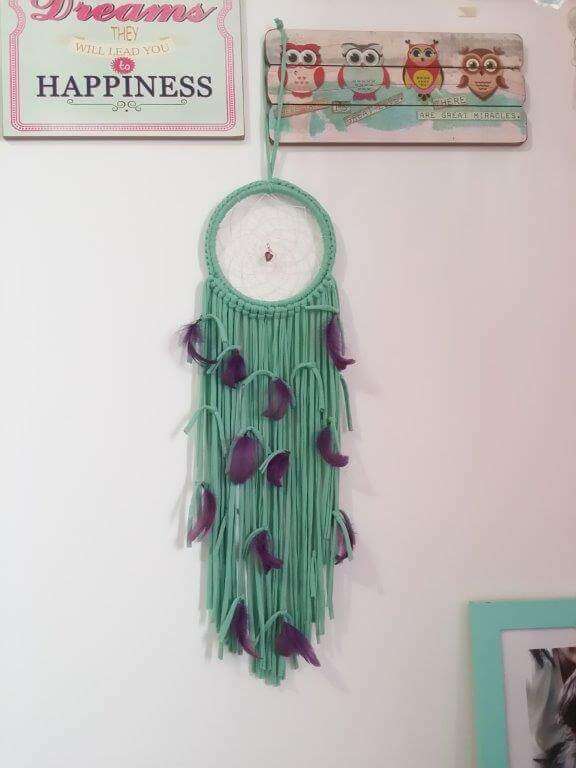 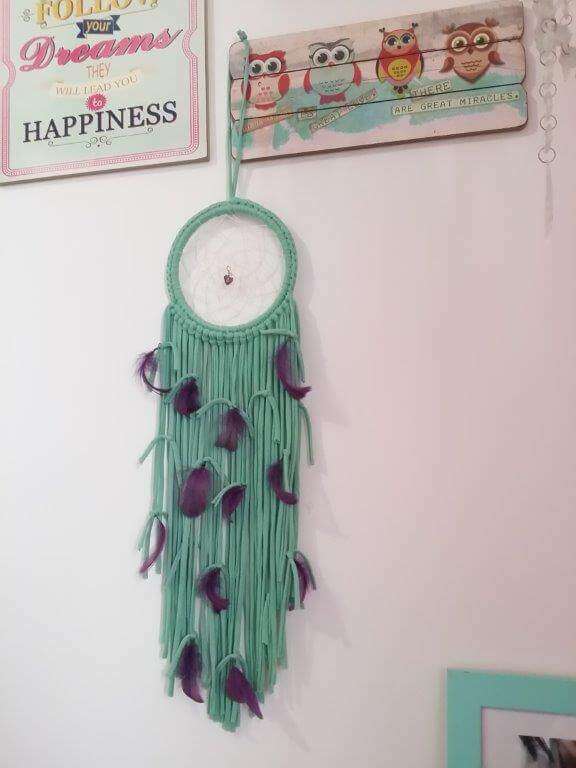 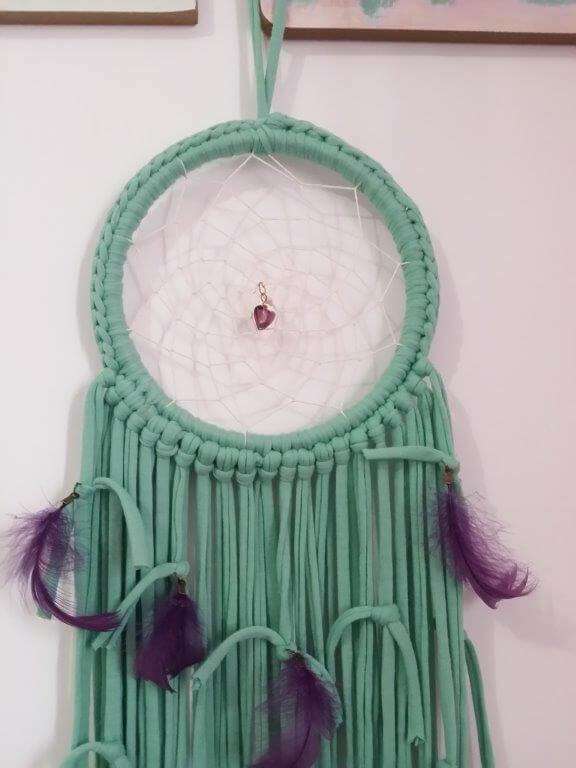 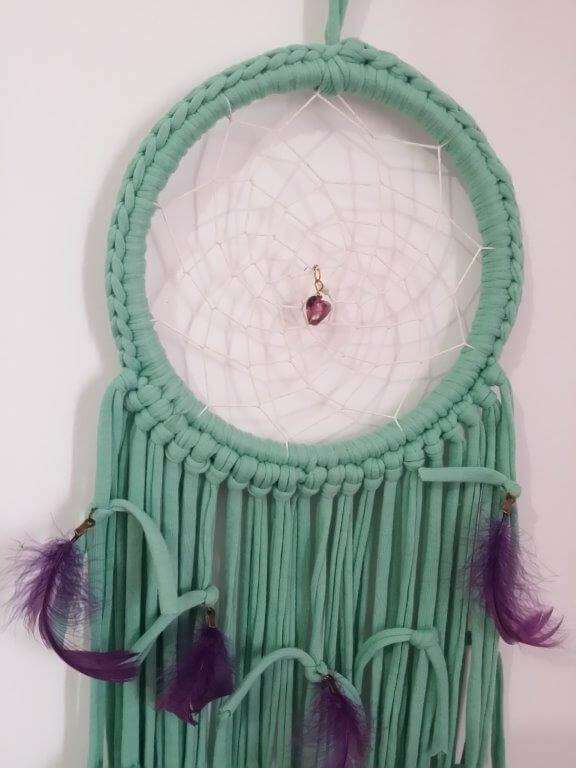 Teal Dream Catcher for boho bedroom! 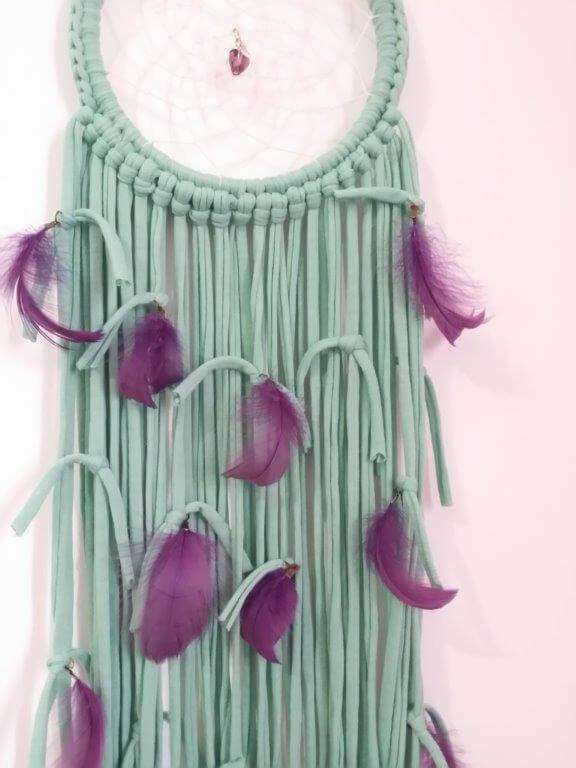 Beautiful handmade boho Teal Dream Catcher made from soft cotton fabric yarn, perfect for any room. 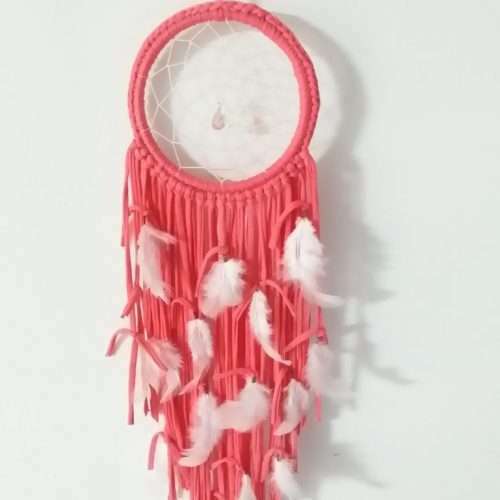 Use it as a nursery decor, make it part of your bohemian bedroom decor. 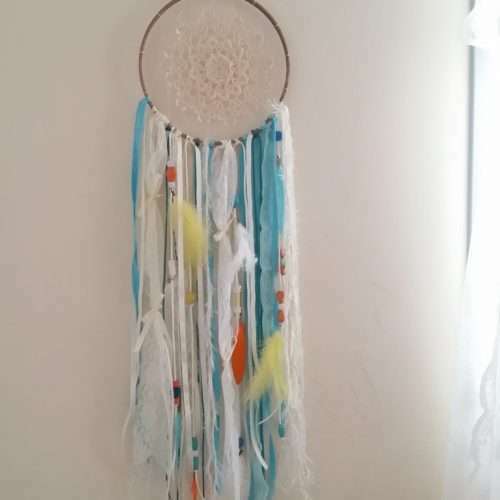 Perfect gift for a new baby, christening, birthday gift and for many other occasions. 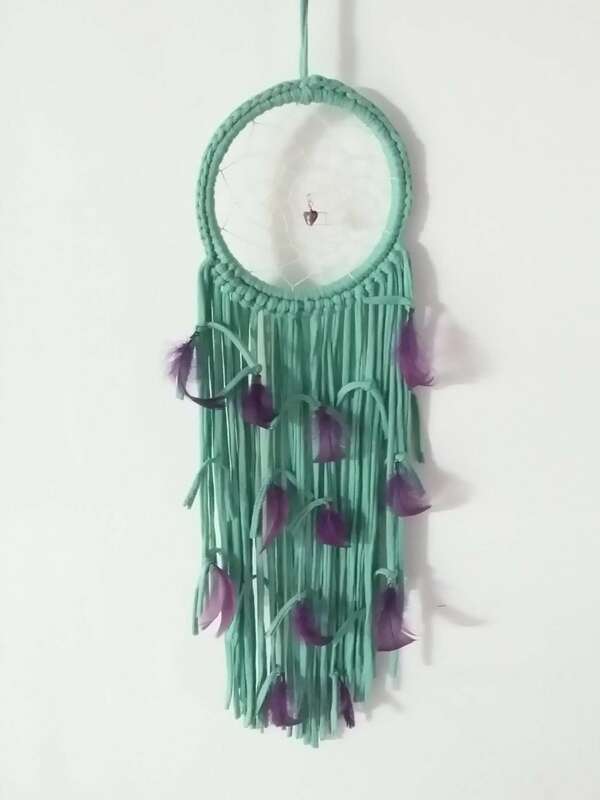 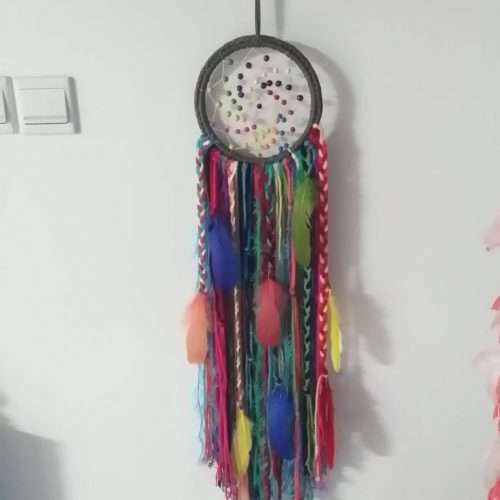 This dream catcher is made using soft cotton fabric yarn in teal color and decorated its droppings with purple/violet colored feathers.